That’s my bag baby | Do the twisted. ← Who says women can’t have mustaches? Personally, I am not a fan of bags with big fat logos printed on them. So that’s why I recommend ECOBAGS. (Classic String Bags pictured with a giant squirrel a.k.a. 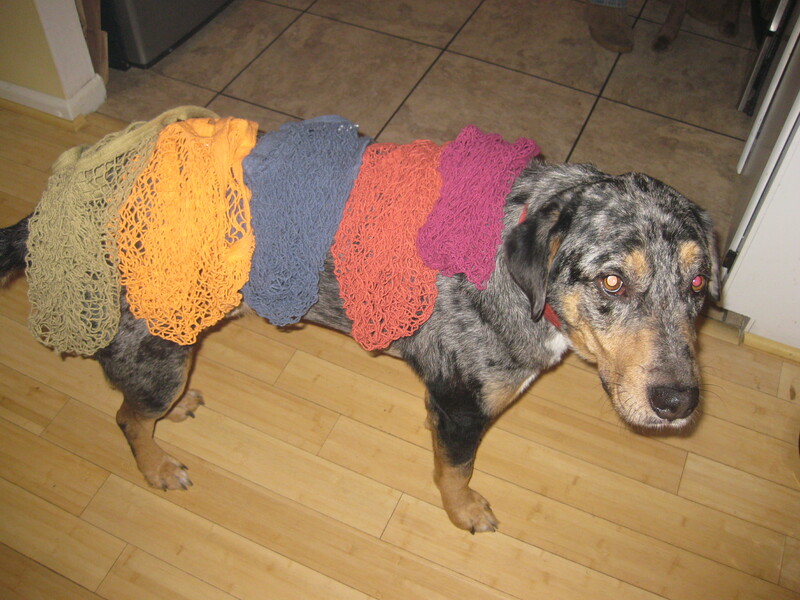 my dog Cooper.) They’re funky, simple, and stylish. I can take them anywhere and not question my brand loyalties. Don’t get me wrong, I’m glad companies are trying to be environmentally responsible and encouraging their customers to be more conscious of their choices, but I don’t think a mack daddy logo is going to help them make it a part of their lifestyle. Call me weird or call me right, but it’d be kind of awkward to walk into the grocery store with a giant JCPenney logo bag. At least GAP got it right. With their style and design, their bags could be proudly used everywhere. Pretend everywhere you go is BYOB and get into the routine. Trust me, you’ll feel good doing it. The best part is, you can buy booze and junk food, and still feel great! Oh and for the record, as you walk out of the store with your bag in tow, I’m pretty sure trees would high five you if they could. I definitely feel like a ninja every time I whip out my reusable bags at the checkout (and not just because I’m Asian). My Whole Foods/Publix bags always make an appearance during my weekly trip to the grocery store. Great post. 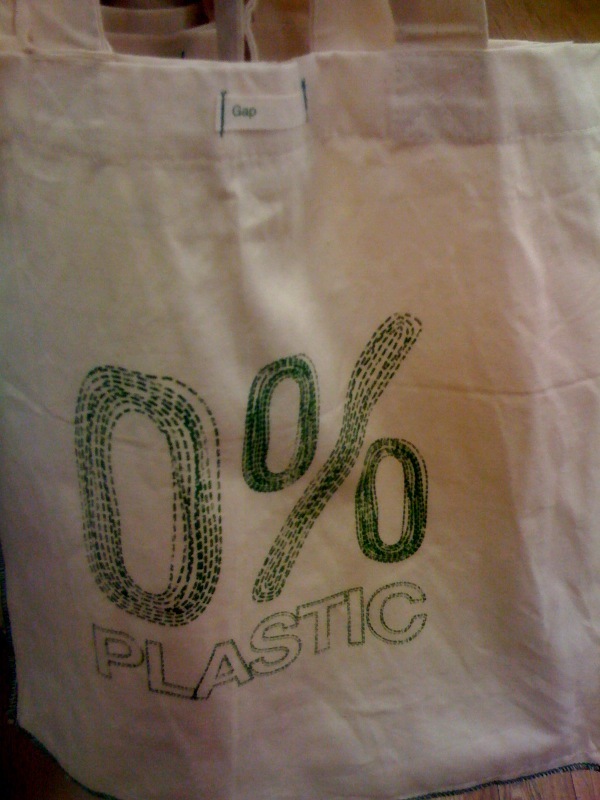 I may even look in to breaking my brand loyalties and invest in some Ecobags!